Hyperaspis connectens (Very Small Ladybug). Size: approx. 2-3 mm. Photo: 07/17/11, 1 pm. So far this is the smallest insect on my Web site. This tiny ladybug is Hyperaspis connectens. The species name refers clearly to the connected spot on the elytra. 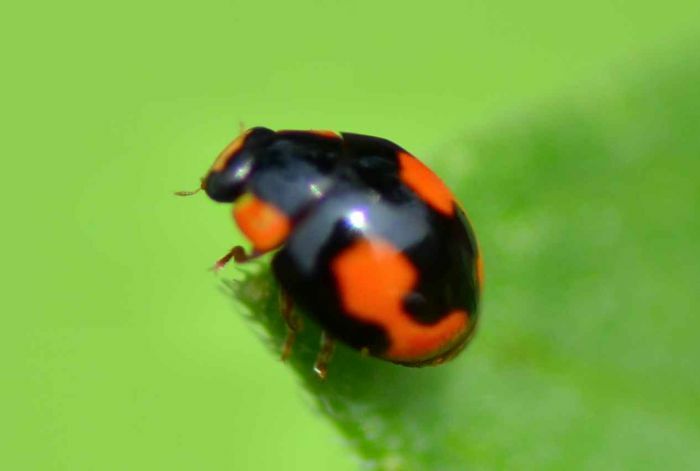 The connected spots are a characteristic feature that (in North America) distinguish this species from other ladybugs. I estimate its size to be 2-3 mm.